← IKEA DIY – How to Hack your own Stripa Shoe Rack! Here’s a visually appealing DIY cassette tape lamp if you want to recycle your old outdated cassette into something useful and doesn’t take up extra space in your home. 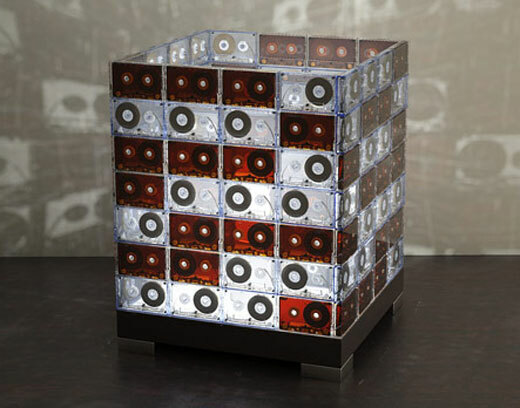 The designers make each lamp from dozens of individual cassette tapes, arranged into visually appealing patterns. 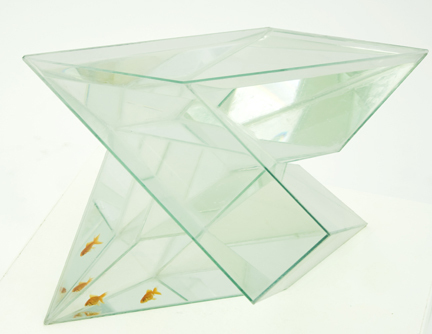 Not only do they look cool as a sculptural piece, they cast dramatic shadows onto surrounding surfaces. 4 Responses to DIY Cassette Tape Lamp! Pingback: DIY Recycled Cassette Tape Lamp! at BED Online Magazine - The Bed Blog - We are crazy about beds. Pingback: Keetsa Mattress Store - Keetsa! 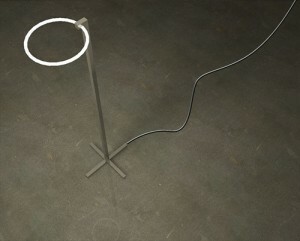 Blog - Eco-Friendly and Green News » Blog Archive » Recycle DIY - Cassette Tape Lamp! Nice! I have seen lots of variations on this, all great! Check out more interesting categories: Audio, Consumer, Design, DIY, Furniture, Gadgets, Household, lights, Misc. 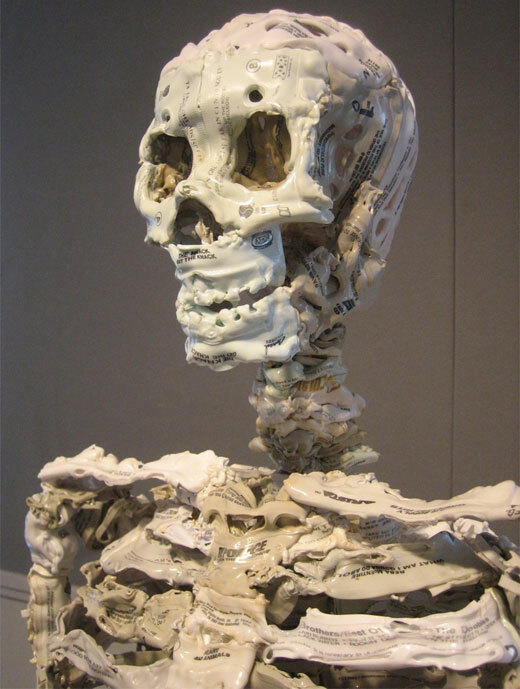 Skull Made from Recycled Cassette Tapes! Clock Hack – How to Make a VHS Cassette Clock! 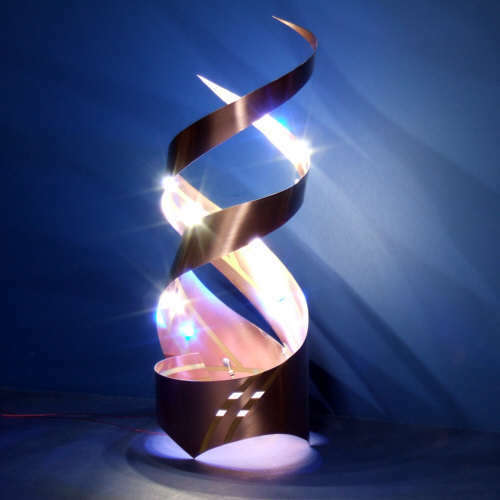 LED DIY – How to Make a Double Helix LED Lamp! 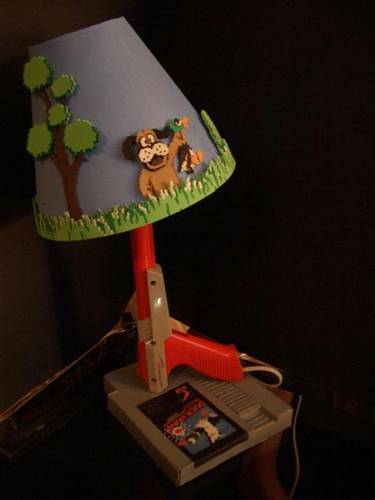 DIY NES Duck Hunt Lamp! 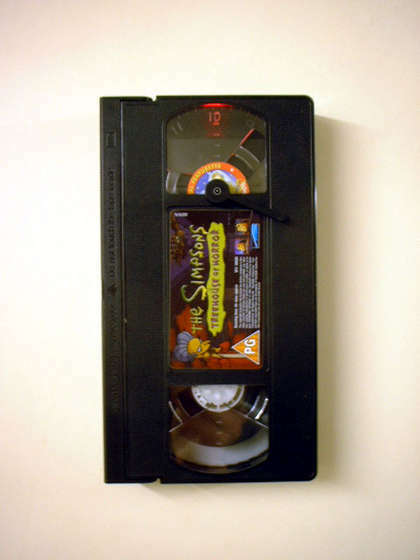 DIY HACK – How to make your own Video Cassette USB Hub! 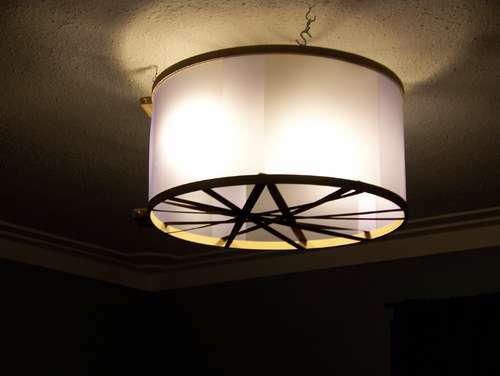 Home DIY – How to Make a Drum Lamp Shade!